Most people do expect a little pain when getting a tattoo. However, there might be a few other consequences from the tattoo ink that a little unexpected. There are a few studies that show 10-percent of the people who get tattoos have had some form of adverse reaction like swelling, itching, and even healing delays. Still, 6-percent more people have had a chronic reaction to the ink that has lasted four months or longer. These reactions are usually unpredictable. However, just a bit of knowledge can go far to help prevent some of the uncomfortable or serious consequences as a result of getting inked. Here is what you need to know. Believe it or not, your skin could mess up the tattoo. Those with a skin disorder like eczema or psoriasis can cause problems with tattoos. These people are at a higher risk of something call Koebnar phenomenon, which can cause more trauma or psoriasis to the skin. It is unformattable, but it can also compromise the appearance of the tattoo through scaly lesions, sometimes for quite some time. Those with eczema have incredibly sensitive skin which can react adversely to something traumatic like a tattoo. It might even prompt an allergic reaction to the actual tattoo. If you suffer from either of these, it is best to speak with your tattoo artist before getting started. Those getting a tattoo should consider the medications they are taking since they can affect the procedure. Since tattooing can increase the risk of infection, those who already have a vulnerable immune system should be cautious and aware before getting a tattoo. The people who are on immunosuppressive drugs, like the ones of various diseases like lupus or cancer, should be especially cautious. If you take blood thinners, you might want to speak with your doctor before getting a tattoo. Blood thinners work to affect the way your body clots blood, which might impair the healing of the tattoo and cause scarring. Waiting until you are done with treatments for at least six months is ideal before going to your local artist. After you get your tattoo, you need to be especially careful in the sun. The freshly tattooed skin is sun sensitive, and UV light might react adversely with the ink in the tattoo to create an extra painful sunburn. It doesn’t matter what color the ink is, but it is more likely to happen if your tattoo is done in red or yellow ink. A good rule of thumb is to choose a tattoo that is located in a rarely exposed area of the body. Likewise, you can assess how you will protect your tattoo with sunblock while you are outdoors. Tattoos on your back are going to be difficult to protect by yourself. If you are an area of the skin that has many moles, you might want to avoid tattooing this area since it can be difficult to see any symptoms of potential skin cancer. If your tattoo artist doesn’t open up the needle package right in front of you, you need to run quickly and never come back. Almost everything in the shop should be a single use product, especially if it is going to be touching your skin. If a needle is dirty, it can easily transmit very serious infections like HIV or hepatitis. The best way to feel comfortable in the parlor is by asking lots of questions. The best question to ask is how they clean their reusable tools. If a shop is reputable, they will be cleaning with something called an autoclave sterilizer, which uses a combination of pressure, steam, and heat to eliminate any debris. The artist should always wear protective gloves and should change them anytime they touch anything but your skin. You would never show up to your medical or dental procedure drunk. You shouldn’t come to your tattoo appointment that way either. Alcohol can affect the healing of the tattoo, and since it acts as a blood thinner, it can make you bleed more. You might be unable to sit still as well. As few as just two drinks can affect the way your blood clumps together to clot. Tattoo artists everywhere recommend that customers stay well-hydrated, get enough sleep, and eat something at least an hour before their appointment. This will help you stay calm, and it will essentially aid in the process of healing. As much as you might want to, if you plan to get a tattoo in an area that has hair, it is best not to shave before your appointment. You might end up tearing your skin, which would increase the risk of infection or other serious problems. Most tattoo artists will use an electric razor to remove the hair without ripping the skin. You should always ask for care instructions before your artists begin the tattoo. You can make sure that you have everything you need like lotion or antibacterial ointment ahead of time. When you follow the after-care instructions given by your artist, you will be making sure that your tattoo is healing correctly. For many young women, a tattoo is a fun way to express themselves and get something important to them put on their bodies. Not everyone ends up happy with their tattoos later on, though, whether because they just don’t like the design anymore, they feel like it’s too big or they decide they don’t want a tattoo in that location. That’s why many people decide to go through tattoo removal procedures, which have been growing in popularity quite a bit since 2015. Interestingly enough, 70 percent of those in the United States who get tattoos removed are women. One of the most common types of tattoos for women to get removed is the lower-back tattoo often affectionately referred to as the “tramp stamp,” and the prevalence of this tattoo among women is likely a reason they make up a larger portion of the people who come in for tattoo removal. While there are certain tattoos men get that also have a bad reputation, the “tramp stamp” doesn’t just have a negative connotation, it was also wildly popular. 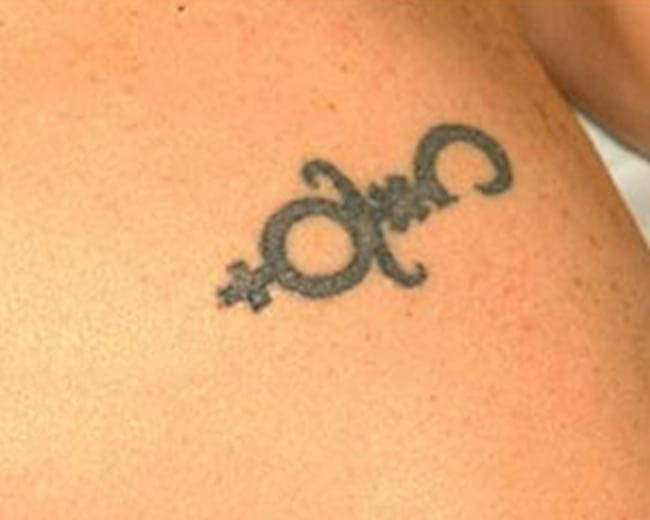 Tattoo removal has gotten more popular in large part because it has become more effective and less painful. The concern that women often have when they undergo tattoo removal is how painful it will be. Using an injectable anesthetic on the area isn’t an option with most providers, because the anesthetic could alter the way that the tattoo removal laser works on the body tissue and interfere with the goal of the treatment. Fortunately, there’s an alternative to make the pain far more manageable, and that’s topical numbing creams. The provider simply applies it to that area of the body before the procedure, and the patient won’t be in nearly as much pain or discomfort. One woman who got a tattoo removed described it as a rubber band snapping on the skin repeatedly, and she said that the tattoo removal didn’t hurt as much as it did when she originally got the tattoo. So, how does getting a tattoo removed work? The tattoo removal laser essentially eliminates the tattoo’s pigment, and the body can then naturally rid itself of that destroyed pigment. Different ink colors require different laser wavelengths to be destroyed. This used to be more of a difficulty for tattoo removals. 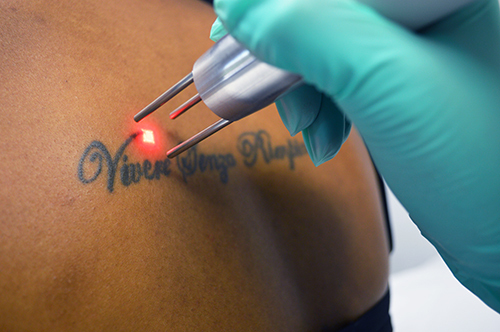 On tattoos with multiple colors, the tattoo removal provider could need to use multiple lasers, and certain colors, such as blue, were known for being especially hard to eliminate. Advancing laser technology, in particular picosecond lasers, have made eliminating pigments much easier. 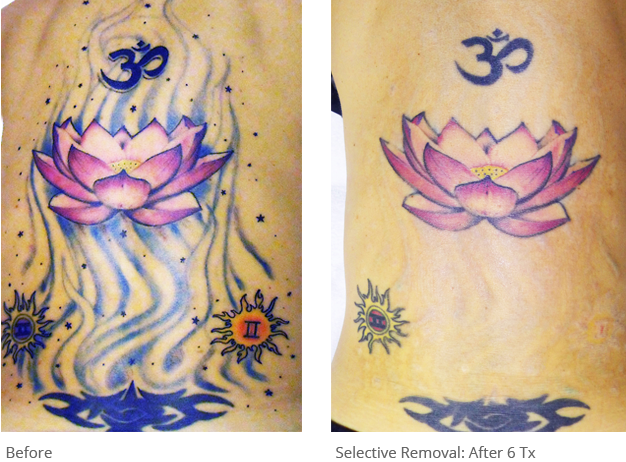 With old nanosecond lasers, the tattoo removal process could take over 10 treatments. These new picosecond lasers often cut the required number of treatments in half because of how efficient they are. For those interested in getting tattoos removed, there are two important points to remember. The first is that there won’t be dramatic overnight results. As mentioned, it takes multiple treatments, and there usually isn’t a noticeable difference right away. 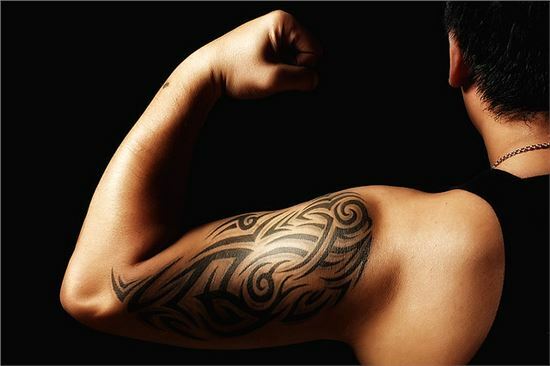 Caring for the area after each tattoo removal treatment is also crucial so that the skin can heal properly. Just like after care is important when getting a tattoo, it’s also important when getting rid of one. Tattoo removal procedures can still be costly, and patients usually end up paying far more for these procedures than they did for the tattoos in the first place. But people certainly appreciate having the option, especially as the treatment itself gets better and easier to handle. As technology continues to advance, that may also bring costs down. Just like with getting tattooed, the amount of pain involved when getting a tattoo removed does depend in some part on the location. Sensitive areas will lead to a more painful removal process, although it’s certainly manageable with the numbing cream. While the pain and the cost are what give some women pause about getting tattoos removed, the good news is that they now have an effective tattoo removal option. Those who have gotten buyer’s remorse or just feel that their tattoo no longer fits them don’t need to be stuck with it for the rest of their lives.